Almost all population-genetic explanations for the evolution of dominance are based on scenarios involving selection. Distilled down to its simplest form, the common idea in these models is the notion that, given a set of homozygous and heterozygous genotypic variants, one or more of the less-fit variants evolve to resemble the fitter variant at the phenotypic level. Consider a starting condition in which the phenotypes associated with a pair of allele variants are codominant. The original scenario proposed by Fisher was one in which the fitness landscape associated with the three possible genotypes mimics the qualitative shape of the phenotypic landscape. Hence one of the homozygous variants is fitter than its alternate, and the heterozygote is intermediate in fitness. Figure 1a depicts such a scenario. In the latter case, dominance could evolve if the phenotype of the heterozygote is modified (via selection) to resemble the fitter homozygote. This would lead to dominance of the fitter phenotype, and a form of robustness with respect to mutations, since now the effects of the less-desirable allele are masked in the heterozygotes. Phenotype aa Aa AA Genotype aa Aa AA Genotype a single locus is not necessarily fixed. Consequently, fitness in relation to a single-locus genotype is also not necessarily fixed. In this scheme, the question that remains is what are the causes by which the relation between genotype and phenotype can change. One possibility is a change in the environment. A second is a change in the genetic background. The latter case is usually the main protagonist in models of dominance evolution. In the simplest case, changes in the genetic background can be represented as changes in alleles at a 'modifier locus', which in turn modify dominance relations with respect to alleles at a 'primary locus'. All such modifier models and their more complicated derivatives inherently assume that the relation between genes at separate loci and the phenotype are nonadditive (i.e., nonindependent) and that the latter relation can be modified by gene interactions. Nonadditivity, whereby allele substitutions at one locus can alter the phenotypic effects of substitutions at another locus, is referred to as 'epistasis'. Models of dominance evolution via changes in the genetic background inherently assume the existence of epistasis. If mutational effects at one locus can be modified by substitutions at another, then the general scheme presented in Figure 1a is not the only scenario by which dominance could evolve. Two commonly considered scenarios are presented in Figures 1b and 1c. Both rely on balanced polymorphisms as the starting condition. One possible scenario is when the heterozygote is superior in fitness to the homozygotes (Figure 1b). Dominance would evolve under such a condition if the phenotype of one of the homozygotes were modified to resemble the fitter heterozygote. The reverse starting condition can be also considered, whereupon either homozygote is superior to the heterozygote (Figure 1c). In the latter case, dominance would evolve if the heterozygote were modified to resemble either one of the homozygotes. The latter starting condition is more complicated from the population genetic perspective, since the maintenance of a balanced polymorphism involving two fit genotypes depends on frequency-dependent selection. 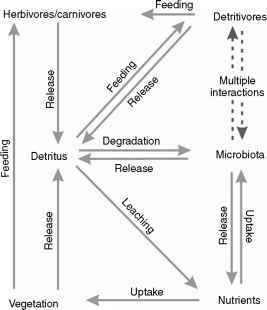 The situations presented in Figure 1 deal with the possibility of dominance modification due to selection -provided that a physiological trait of interest can be modified, and that it can be subject to selection. In the next section, we consider some of the physiological grounds for the manifestation of dominance modification. Whether population conditions allow for selection to be an effective force is itself a decisive matter. This will be discussed in a subsequent section. Figure 1 Idealized representation of some situations under which dominance could evolve. (a) Superior homozygote as initial condition, (b) heterozygote superiority as initial condition, (c) heterozygote inferiority as initial condition.